Area Relief Ministries is a non-profit, social service organization whose mission is to strengthen the Jackson community by providing services that alleviate suffering, promote dignity and foster hope for those in need…as an expression of the ongoing ministry of Jesus Christ. 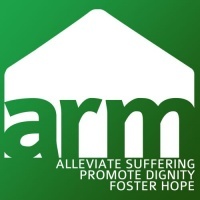 ARM has been helping low-to-moderate income individuals and families for more than 30 years. Room In The Inn is a winter shelter program for men, and the Open ARM day center serves as a place to help the homeless transition back into a life of stability. ARM is also the largest provider of utility assistance in Jackson to low-income families who find themselves unable to maintain their services. ARM also provides a Summer Camp at The HUB Club. It is a day-long program Monday through Thursday for the students we serve in the Hillcrest Community through the year with mentoring and tutoring services. 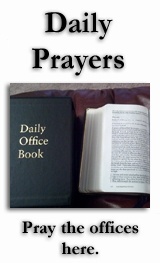 Saint Luke's provides an in-kind gift of space to Area Relief Ministries to assist in their mission. Hands Up! is a nonprofit pre-school serving the "at-risk" community in the Jackson are whose goal is to educate 3 and 4-year old children in a quality learning environment, while involving their parents and extended families through "sweat equity", home visits, and parenting classes. They prepare both the child and their family for a lifetime of learning. They empower parents to be active in the education of their children, and encourage continuing education for the parents. In 2011, Saint Luke's provided a sizeable grant to support the mission of this important organization. Chemical Dependency is an illness which affects all facets of the whole person. An individual in the grips of his illness is mentally, physically, and spiritually ill. Aspell counselors thereby pursue a holistic approach to treatment. Where chemical dependency exist, each individual associated with the chemically dependent person is affected. Thus in the holistic approach to treatment, our counselors work to assist other family members in their transition to a healthy, non-enabling lifestyle. 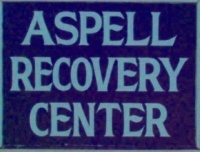 Aspell Recovery Center provides Residential Treatment, an Intensive Outpatient Program, a Transitional Living Facility, and an Independent Living Program to help combat the ravages of addiction. On November 26, 2010 family and friends of Ms. Ann Lucile Huxford Middleton, a longtime member of Saint Luke's, gathered on the campus to dedicate a renovated home, which she and her family made possible, in her name. Jackson, Tennessee and the world lost a beautiful spirit on Friday, October 22, 2010 however, her spirit will live on through the lives of all those whom she touched. Ms. Ann’s House is an honorable legacy of Ms. Middleton to continue her dedication to those in recovery. The house is a transitional home for women leaving residential treatment. It is our belief that the longer an individual early in recovery stays on campus and around others in recovery the better the odds of them remaining clean and sober. Conveniently the home is located behind Life House, which is a Aspell’s residential treatment facility for women.